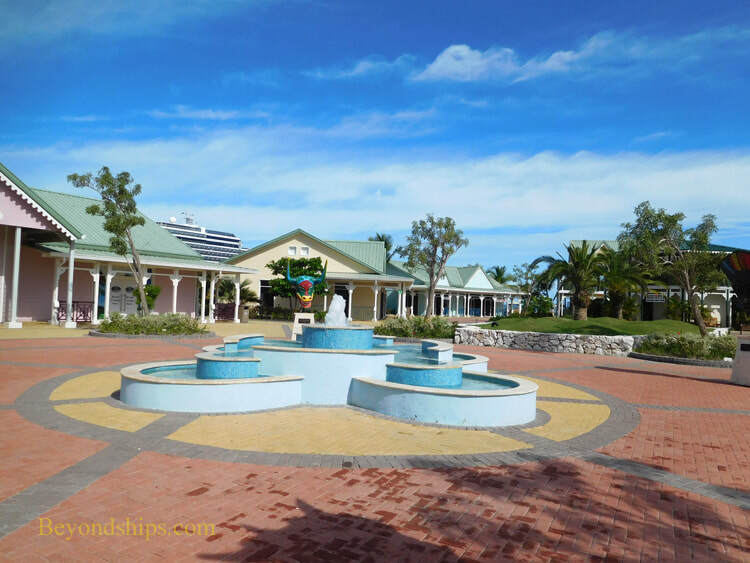 The shops at Amber Cove begin at the entrance to the complex as the building that you go through to get from the pier to the complex is a shop. 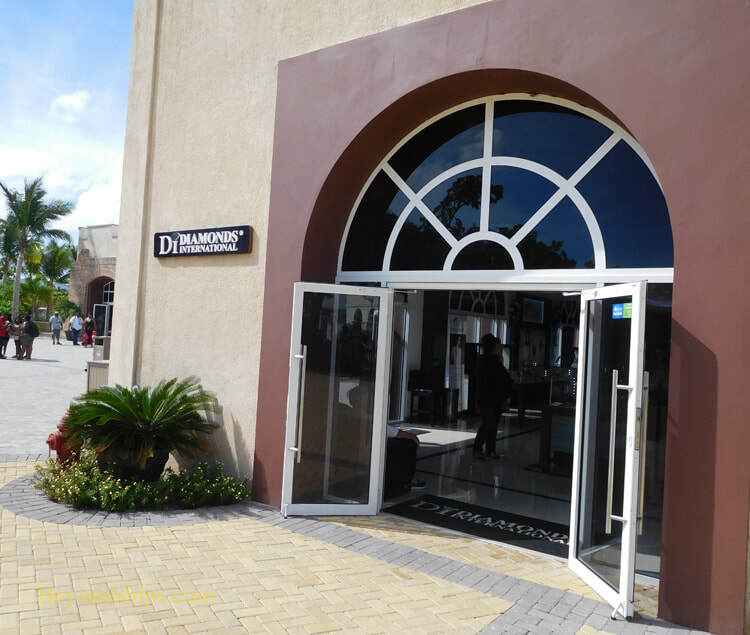 However, the main shopping area is to the left when you enter the complex. 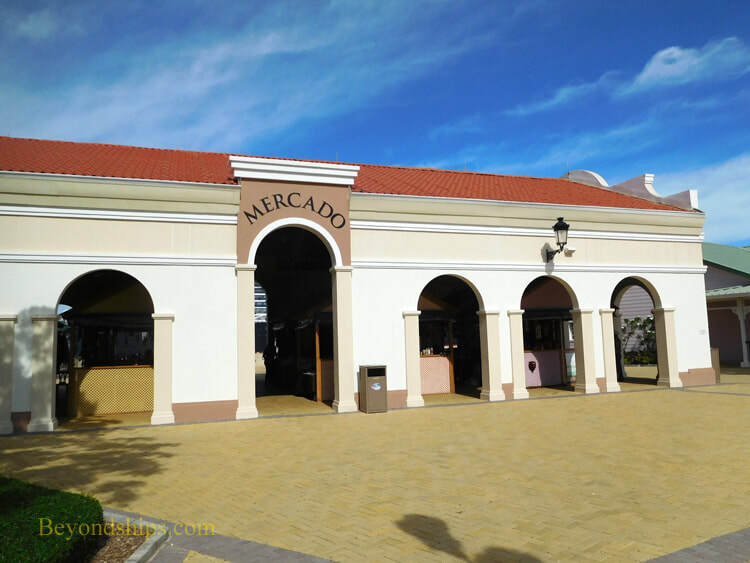 Arranged around a colonial style plaza, the shops include major names often found in cruise ports (right) as well as a building housing stalls where local vendors sell souvenirs and crafts (below). 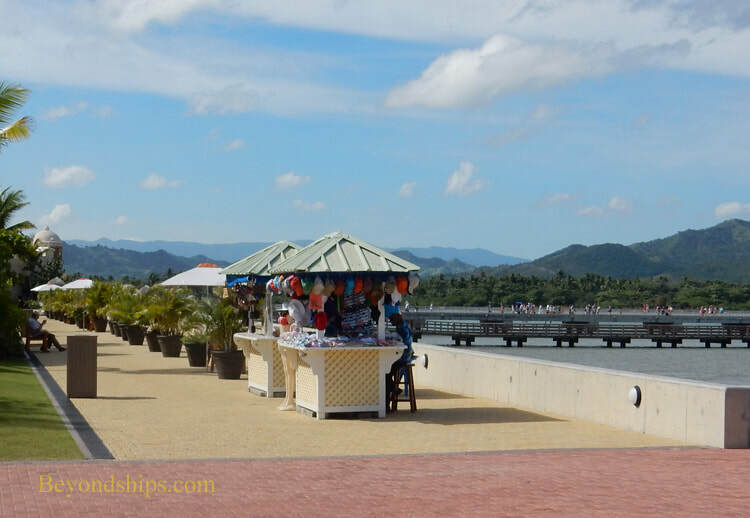 ​There are also vendor stalls along the promenade by the bay (right). 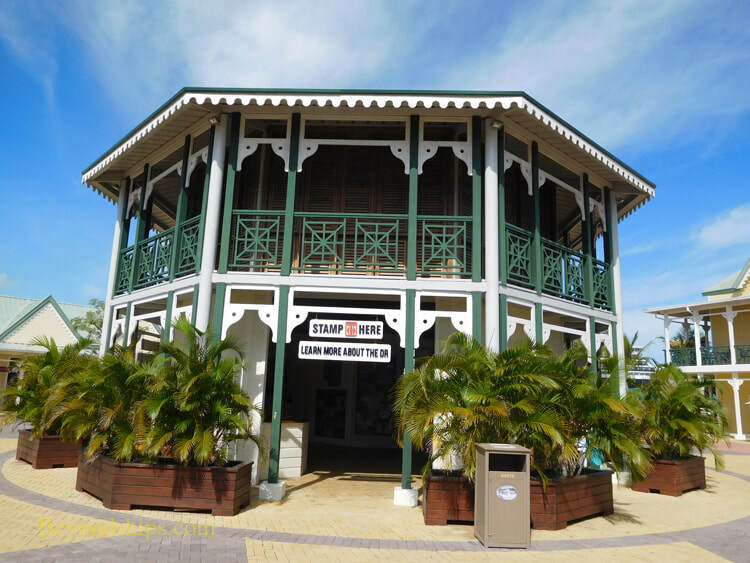 Not all the buildings in the shopping plaza are shops. 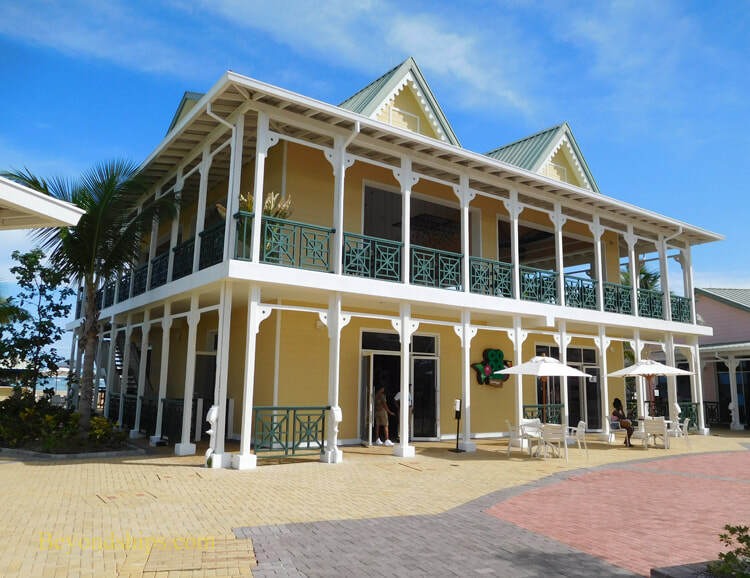 There are also bars and restaurants (above left) and a building with tourist information about the Dominican Republic (above right). You can also have your passport stamped there if you so desire. Adjacent to the shopping plaza is the transportation center. 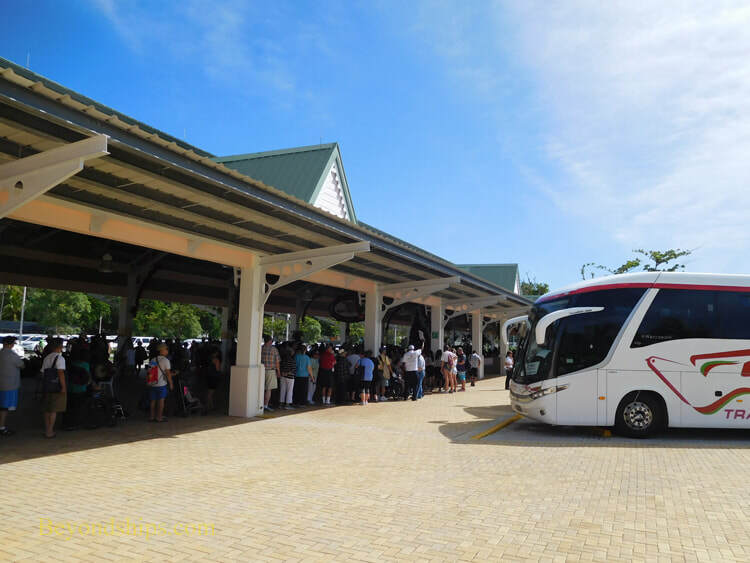 This is where passengers going on shore excursions board their coaches. 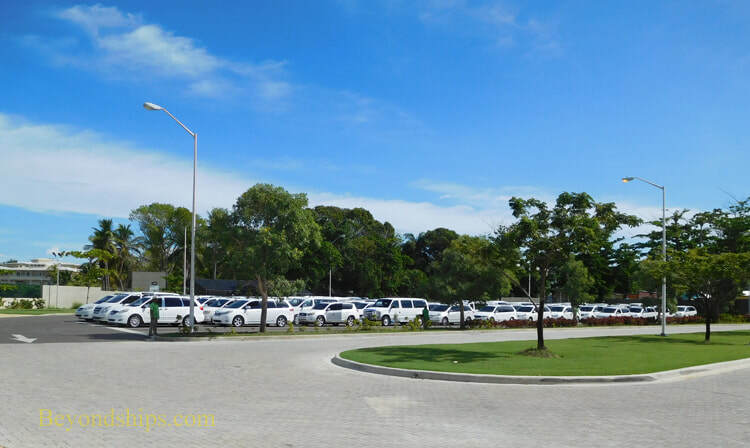 In addition, there are taxis for those who prefer independent exploration.